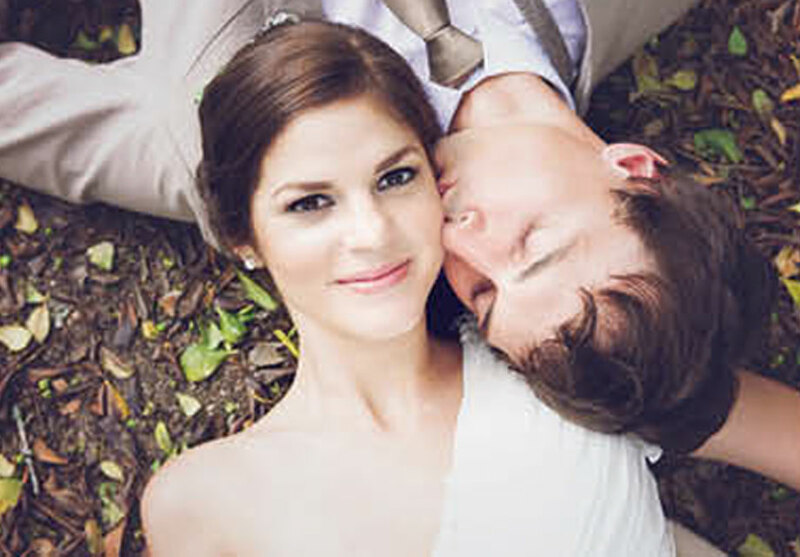 Not that many brides can boast that they married their first true love but this sweet bride can. She met her husband to be when she was just 15 and they got married some 8 years later. Rick popped the question in an idyllic setting? We went for a weekend getaway to a game farm near the Botswana border with close friends and family. Early on the Sunday morning I was woken by Rick who said he wanted to go for a walk. We walked until we got to a small dam where we sat underneath an old tree to watch the beautiful sunrise. Just as the sun came is Rick got down on his knee and proposed. We went back to the farmhouse and we woke everybody to tell them our great news, which was celebrated with a wonderful champagne breakfast. I was surrounded by special people who made the moment event better and more meaningful. How long did you have to plan your wedding and what did you start with? We got engaged in July 2013 and I started with the wedding planning about a month afterwards. We had five months to plan the wedding but luckily I had many family members and friends willing to assist me. We started with the colour scheme and wedding theme which was a classic vintage theme using soft pink and stone as the main colours. Our electronic invitations were then sent out – they were actually created by my wedding photographers, Lynette. Did The Plantation tick all the right boxes for you as a venue? Yes they certainly did. The main things I looked for in a venue was one which could accommodate me with a wedding reception, the ceremony and which had a suite where we could get dressed on the wedding day. The Plantation was able to assist me with all of the above and even more. Was the vintage motorcycle part of your package? Yes it was and it complemented the classic vintage theme perfectly. It also added an extra spark and lots of fun to our wedding photos. You kept your decor simple? yes, we kept it simple and elegant and all the decor items complemented the theme and colour scheme. My wedding planner Louise Gerber, who is a close friend, helped me with all the decor and the flower arrangements were done by Rene Le Roux who is one of Rick’s aunts. We used birdcages and big candle holders as centrepieces and placed the flower arrangements around them. It worked beautifully. How did you choose your bridal attendants? I chose my three sisters and a close friend. They are the people who have played the biggest role in my life and who I knew would best be able to calm my nerves in preparation for my big day. We had 132 guests of which about 70 were close family members. What worked best on your day? The general flow of the day. Everything seemed to flow smoothly from the ceremony to the wedding photos, the reception and the honeymoon suite. Did you stick to your budget? If you ask me the answer is yes, but if you ask my husband he will say no! We were quite strict with the budget and had a lot of DIY projects which helped to kee the costs down. Some of the DIY projects included the decorations, the flower arrangements, the wedding pre-drink holders, the candle holders, the candy station, the photo corner with its amusing props and also the cone-shaped confetti holders. Your most sentimental wedding gift? A Bible which was passed around the guests attending our wedding. They could each highlight a verse in the Bible which was important to them and which they wanted us to take note of and remember them by. My wedding planner came up with this great idea and covered the Bible to fit the vintage theme of our wedding. Any handy tips for brides to be? I recall looking at the chapel and wedding reception area and seeing all the love and effort put in by my family and friends to make the big day happen. We went to Zanzibar for just over two weeks where we stayed in a lodge on the South Eastern coast, which was very quiet and secluded. We loved the African culture mixed with the tropical beach atmosphere and we would definitely recommend it to other couples. © The Plantation. Website design by Perfect Circle.